Empowering donations. Direct, personal and fully transparent. HealthConnect is an impact driven social enterprise offering an innovative platform that connects organisations that care, to individual people who need care. Through direct and fully transparent peer-to-peer funding, we are working towards access to basic healthcare for everyone. Because health is the key to the future. Yet even today, many people are excluded from vital medical services, especially in Africa. Traditional development aid often fails to reach those who live in the most remote areas and a significant part of donation money leaks away to overhead. The system needs to change and we believe our technology can do that. 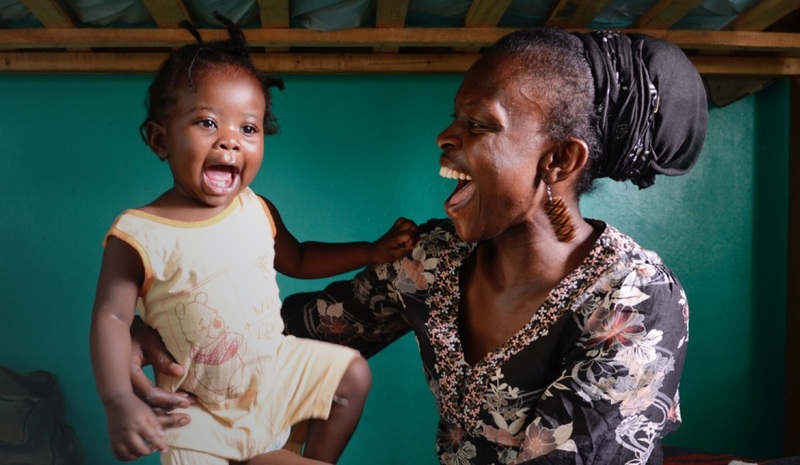 Support from one person to the other, directly by mobile phone, that empowers Africa’s poorest to take good care of their health and build a decent future for themselves and their families. In some aspects Africa, and particularly Kenya, is far ahead of us: mobile payments and savings. Almost everyone, rich and poor, owns a cell phone. These phones provides us with the chance to directly reach those people that were formerly far off the radar. The mobile revolution creates a lifeline to services, facilities and financial systems that many people were previously excluded from. The HealthConnect technology allows for financial support to get directly transferred to a personal ‘health wallet’. This mobile system connects payers, patients and providers of healthcare and enables people to save and pay for medical treatment at clinics, simply trough their mobile phone. The system is secure and transparent: 100% of the amount a beneficiary receives goes directly to healthcare benefits; the donor receives clear insights about where the money goes and what it is spent on. HealthConnect offers an innovative tool to stimulate social responsibility through your brand and empowers employees, customers and partners to make an impact where it matters: directly on the lives of real people. HealthConnect is not a fundraising organisation in itself. Our open platform enables others to execute effective peer-to-peer charity campaigns of choice, with full transparency about all transactions and results. 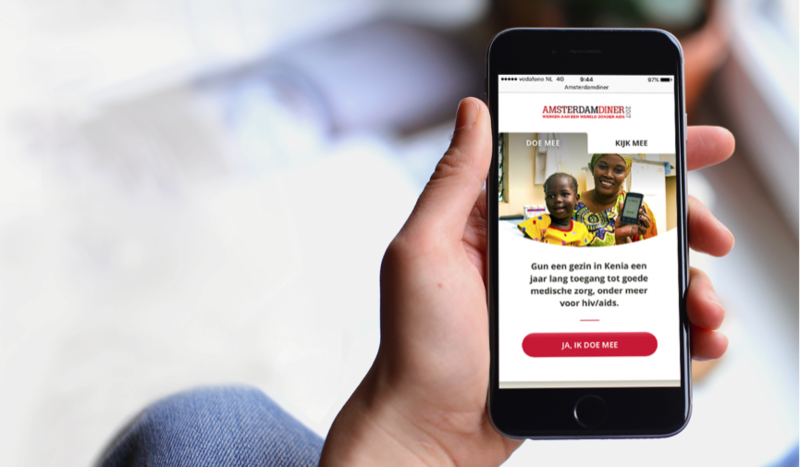 The AmsterdamDiner foundation launched the first campaign on our platform at their annual fundraiser to combat HIV/AIDS. In total, over 900k was raised. The jij.doetmee.org campaign allowed individuals to fund access to healthcare for a whole family in the slums of Nairobi. The online-only campaign attracted 86000 visitors to the site. Could you tell me more about the mobile health wallet? The mobile phone is one of the biggest social equalisers on the African continent. 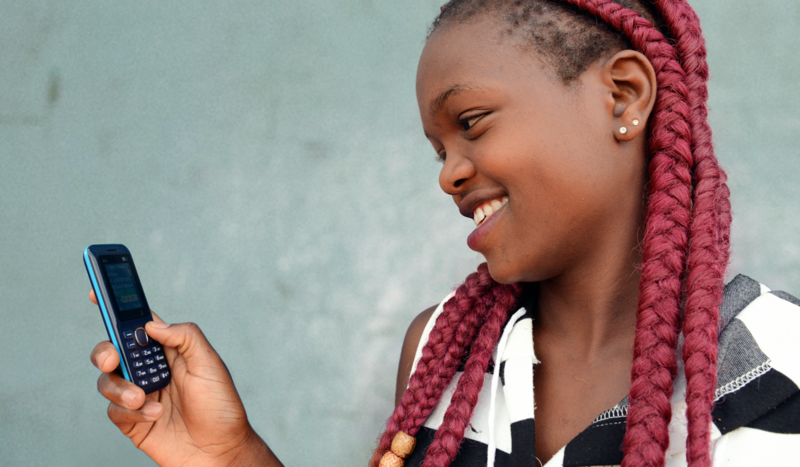 In Kenya for example, mobile health platform M-TIBA provides access to better healthcare by connecting Kenyans to clinics and healthcare funders through a mobile health wallet. This enables people to receive insurance and funds, to save and pay for medical treatment – and medical treatment only – at clinics, directly trough their mobile phone. Currently, almost 800,000 Kenyans use the health wallet for basic care, such as mother/child care, HIV/Aids, small surgeries and treatment for common diseases. The HealthConnect technology interfaces directly with mobile health platforms such as M-TIBA. Are projects and partners independently verified? HealthConnect is an initiative of the Dutch PharmAccess Group Foundation, a recognised organisation with over 15 years of experience in healthcare improvement in Africa. All partners and fundraising projects will be reviewed and approved by PharmAccess. Become a partner: we are always looking for like-minded companies and organisations that share our vision. Please contact us to discuss the possibilities. Set up your own peer-to-peer fundraising programme: please contact us to see how the HealthConnect technology can provide a transparent platform for your cause. Donate directly: HealthConnect is regularly involved in new campaigns. Check out our latest campaigns and contribute directly to someone’s future. HealthConnect is an initiative of the Dutch PharmAccess Group Foundation, a recognised organisation with over 15 years of experience in healthcare improvement in Africa. The initiatives are structurally supported by the Ministry of Foreign Affairs and the Dutch National Postcode Lottery.